Urban clothes with an edge that gives back! Check out CleanWear! This is probably the 5th review and/or giveaway I've done on yogurt here on my blog! All of you must think that's all I eat, but the truth is that I LOVE it and, YES, I do eat other things! Yoplait Greek Yogurt comes in four flavors: Strawberry, Blueberry, Honey, and Plain. You can save thirty cents on one cup of Yoplait Greek yogurt by printing this coupon right now! Like I said above, I prefer regular yogurt to this yogurt, but if that's all there was in the house, I would still eat it. Plus, the amount of protein in this yogurt is quite high and may make me change my mind! One lucky winner will win a prize pack from MyBlogSpark that contains 4 coupons for FREE Yoplait Greek yogurt, along with a $20 Gift Card to your local Giant grocery store! To enter, tell me which flavor of this yogurt you'd most like to try. This giveaway will end on April 12th, 2010, at noon EST. Disclaimer: Yoplait, Giant, and MyBlogSpark provided the product named above for me to review, as well as information for this post and an additional gift pack to give away to one of my readers. Good evening! The latest winners have been drawn! Congrats to all of you! I'm emailing you all now! Thanks to everyone who entered and to the sponsors who provided review and giveaway items. I love a good contest! I'm a big sweeper at heart, and that's why I want to share this contest with you today! If there is anyone deserving of a pick-me-up, it's certainly Moms! With our demanding schedules and sometimes sleepless nights, it's no wonder that some Moms set their coffee makers to automatic brew. 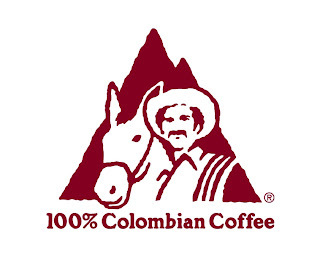 If you're one of the many Moms who rely on a caffeine boost to jumpstart your day, you might be familiar with an organization that consistently delivers quality java- 100% Colombian Coffee. 100% Colombian Coffee is found in numerous brands of coffee because demanding consumers the world over are aware of the importance of its origin. So next time you are shopping for coffee, look for the 100% Colombian Coffee logo - your guarantee to the "richest coffee in the world." Coffee drinker or not, you definitely don't want to miss out on the 100% Colombian Coffee "See What's Behind the Best" sweepstakes. 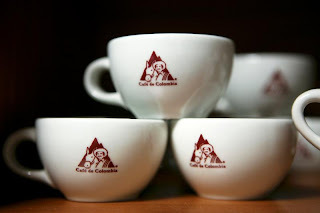 By visiting www.whatsbehindthebest.com, you'll have the opportunity to learn about the philosophy behind 100% Colombian Coffee and enter to win great prizes. The grand prize is $10,000! There's more! You might have the chance to meet Juan Valdez and his mule, Conchita and taste 100% Colombian Coffee - the richest coffee in the world. 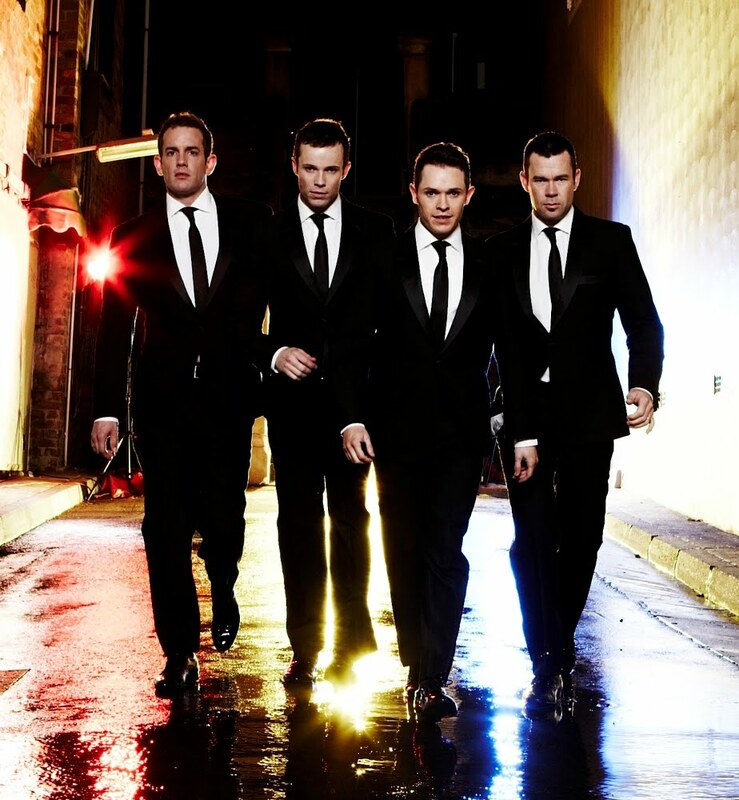 They will be embarking on a tour across the United States starting March 2nd in New York City. Click here to see when he is coming to your city! Disclaimer: I am sharing this contest with my readers on behalf of MomSelect. I was not paid in any manner for sharing this contest, but I was entered into a contest just by posting this information. As Moms, we all have our own recipes for giving our kids the best possible childhood and a great start in life. Whether those ingredients include encouraging our kids to try their hardest or promoting their imagination and creativity, our hope is that our children will grow up to be happy and well-adjusted adults. Family time is an undoubtedly important part of that recipe, and making sure the family sits together at the dinner table at least once a week is a great, but challenging way to fit it in. Ragú® offers moms hundreds of nutritious, convenient, delicious and affordable meal ideas- perfect for busy families on the go. From making sure the kids get their veggies (Ragú® red sauces contain more than a full serving of veggies in every half cup of sauce) to skip-a-step recipes like No Boiling Lasagna and No Frying Chicken Parmesan, Ragú® understands your hectic lifestyle and desire to feed your family quality meals at a great value. Now, Ragú® is teaming up with actress and mom Molly Ringwald to promote the Recipe for a Good Start Contest asking moms to share their recipes for a good start for a chance to win a $5,000 college scholarship. By visiting www.recipeforagoodstart.com, you'll have a chance to submit your recipe for a good start in life and your original Ragú® recipe that has the family running to the dinner table! Three first prize winners will be awarded a family trip to New York City where they will compete in a nationally televised Ragú® Recipe Challenge for the chance to win the ultimate prize of a $5,000 college scholarship. Disclaimer: I was entered for a chance to win a Ragú® family package in exchange for this post. No monetary exchange took place. I'm pretty much what you would call a "Stickler", in all sense of the word, and one thing I am very picky about it how my toilet paper is on the roll. I know this sounds funny but it's true! I HAVE to have my toilet paper "over" - if it's "under", it drives me crazy! At home, if the kids or someone puts a new roll on and they put it "under", I HAVE to switch it! Of course I don't do this if I'm visiting someone's home but it really bothers me no matter where I am! It just seems like you can grasp and tear the paper better if it's over! 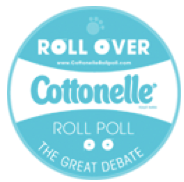 Cottonelle recently had a poll going on at www.RollPoll.com and over 70% of Americans said they "roll over"! 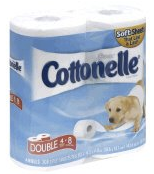 In response to the Roll Poll results, Cottonelle brand developed a new softer, stronger toilet paper, designed to roll with everyone's preferences. As a long time Cottonelle toilet paper user, I appreciate that they understand that quality, softness and durability all matter to many Moms like me. What better way to announce the results of this great debate than to make a product I love even better! Disclaimer: I wrote this review while participating in a blog campaign by Mom Central on behalf of Cottonelle and received a sample to facilitate my candid review. Mom Central sent me a gift card to thank me for taking the time to participate. It's March, but already, many of us have on our minds how our kids will spend their summers. While weekend trips and play-dates with friends can keep our children occupied for short periods of time, we often struggle to develop fun and engaging activities for younger kids or older children who haven't locked into a yearly tradition of sleep-away or sports camps. Realizing how much kids crave summer adventures as it enables them to engage in a variety of activities, KinderCare Summer Camp surveyed nearly 3,000 kids to see how they would like to spend their summers. So what exactly did kids want? It turns out they had some strong ideas- they wanted adventures, arts and crafts, and trips- activities which often fall beyond the reach of busy Moms. KinderCare responded by partnering with teachers to design a nationwide summer camp program to provide kids with new and interesting activities pertaining to their interests. They developed 12 unique week-long day camps with themes including Wild, Wild West, Wilderness 101, Dig Ancient Egypt, You've Got Talent!, Puppeteer Road Show, Gross & Gooey Science, Spectacular Sports, Animal Antics, Science Adventures, Art Expo, Kids' Kitchen, Splish Splash, Surfs Up!, and Everyday Heroes. Whether you have an avid athlete, a budding scientist, or both, they can find something cool within KinderCare's Summer Camps to engage their time. The weeklong timeframe of the camps also gives Moms the flexibility to sign their kids up for as few or many sessions as they'd like. With approximately 1,700 centers located in 39 states and the District of Columbia, KinderCare Learning Centers, an accredited early childhood provider, offer a range of educational programs and after-school care for infants as young as six weeks old to school-aged children through age 12. Run by specially trained, passionate teachers who fully embrace a balanced approach to learning, KinderCare Learning Centers aim to educate and entertain children within nurturing environment, and encourage strong communication between families and teachers. When I was growing up, my mom stayed home and my dad worked. It went on like this until I was in my teens. Therefore, I didn't go to Summer Camp, and I don't recall many of the kids I grew up around going either. It didn't ever cross my mind! I wish I had now, though, because of all of the activities that are offered at Summer Camps, especially KinderCare's! Now that I'm a single mom of 3, summer camps are an essential part of our lives. Summer camp keeps the kids busy and out of trouble. I was fortunate enough to work on our local Army base, so I was eligible to use their Summer Camp, which went by my income. The best part was that the kids had field trips each week, to places like HersheyPark, Six Flags, and Dutch Wonderland for the smaller kids. They also went swimming twice a week and did various other activities during the week. I've never sent them to a KinderCare Summer Camp, mainly because I can't afford most summer camps on one income, but with the weekly themes and activities, it would be great to be able to send them to one! I'm sure that my son would love the Spectacular Sports Camp, and my daughter would surely love the Art Expo, as well as many more of the programs that KinderCare offers! Have you ever sent your kids to Summer Camp? Did they like it? Disclaimer: I wrote this review while participating in a blog tour campaign by Mom Central on behalf of KinderCare and received a gift certificate to thank me for taking the time to participate. As I mentioned in my last post, I LOVE holiday cartoons and movies! They're my 2nd favorite part of the holiday! 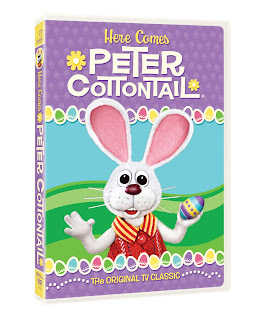 The video Here Comes Peter Cottontail is no exception! I remember watching this as a child and my daughter and I watched it yesterday! She loved it as much as I did and boy, did it bring back some memories for me! This is a great story with a great storyline! You and your children will enjoy this DVD as much as we did! On behalf of the sponsor of this review & giveaway, we have three coloring sheets to share with you! *Please note: When you click on the above links, you can click on the photo itself and the sheet will open in another window as just the coloring sheet that you can print. One of you will win a copy of this DVD to add to your DVD collection! To enter, tell me another favorite holiday cartoon or movie! This giveaway will end on 4/10/10 at noon EST. Giveaway is open to US Residents only. Disclaimer: This post was written for Family Review Network as part of a program for The Morris + King Company for Classic Media, who supplied the DVD for review and giveaway. I remember that when I was a kid, for every holiday that came along, I looked forward to the holiday-specific cartoons or movies that always came on. I actually still do (unless I forget)! and The First Easter Bunny! I've always loved Bugs Bunny (who doesn't?!)! 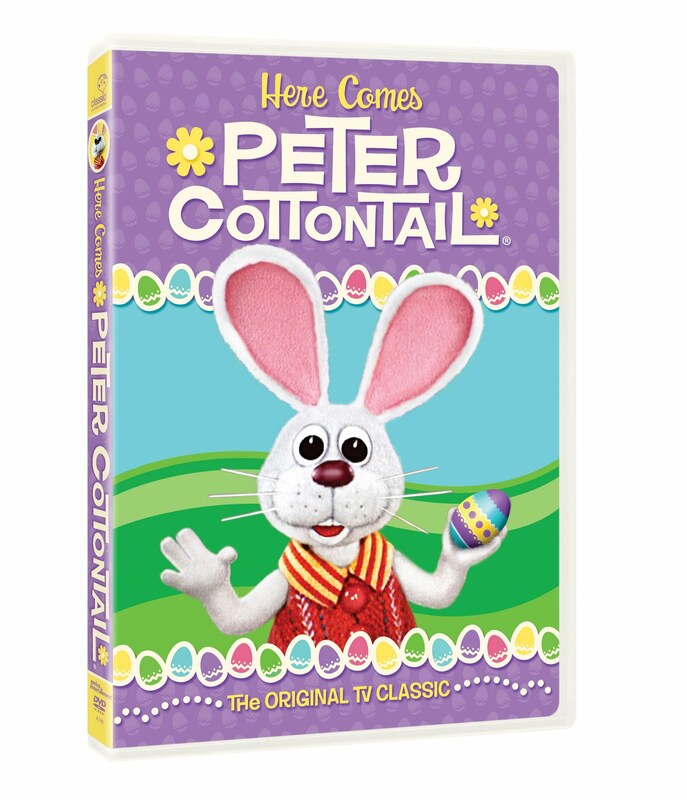 I can't quite remember The First Easter Rabbit, but I'm sure when I receive the DVD, and watch it, I'll remember it! Synopsis: Granny tries to recruit a substitute for the Easter Bunny when she falls ill. Someone has to help deliver Easter baskets and so Bugs Bunny and his pals all volunteer. Each character auditions for Granny. Which Looney Tunes character makes the best Easter Bunny? Viewers will be surprised! Portions of legendary Looney Tunes cartoon shorts are cleverly mixed into the plot of this delightful special including Birds Anonymous, For Scent-imental Reasons, Knighty Knight Bugs, Sahara Hare, Robin Hood Daffy, Rabbit of Seville, Hillbilly Hare and Tweety’s Circus. Synopsis: Academy Award winner Burl Ives narrates this fanciful, tuneful and color-splashed animated tale of The First Easter Rabbit. That Rabbit is Stuffy, a cuddly toy who magically comes to life. Stuffy goes to Easter Valley - an enchanted place where it's always springtime - where he hopes to bring the first-ever basket of Easter goodies to children. But a cold-hearted ice creature named Zero refuses to permit such happiness. If he has his way, he'll freeze out Easter celebrations forever! You can find both of these DVDs at www.kidswb.com. There will be TWO winners for this giveaway! One winner will win the Bugs Bunny Easter Funnies DVD and another person will win the First Easter Rabbit DVD! To enter to win, tell me another favorite holiday movie or cartoon! This giveaway will end on 4/8/10 at noon EST. US Residents only, please. Disclaimer: I will be sent the products named above to review. The opinions expressed above are solely my own and yours may differ. Receiving a product will NEVER influence what I write in any review. One of my favorite places to shop is Rite Aid! So, I'm sharing this press release with you on behalf of Rite Aid! CAMP HILL, PA (March 22, 2010) – From chocolate-covered Peeps, edible Easter grass and bags of nothing but black licorice jellybeans to prefilled baskets, Reese's Pieces Carrots and giant wicker eggs, the neighborhood Rite Aid store has enough variety to get any aspiring bunny hopping for some spring shopping. Even last-minute shoppers can easily fill their baskets whenever it's convenient with holiday hours up to and including Easter Sunday in most of the 4,800 Rite Aid stores nationwide. Easter is the traditional kickoff for spring, with four out of five Americans celebrating the holiday, according to a recent National Retail Federation (NRF) survey, which estimates this year's total Easter spend at more than $13 billion, which is a 2 percent increase over last year's $116.59 per celebrating poll respondent. The participation rates are highest among the young, with 88 percent of adults age 18 to 24 planning on celebrating. This age set is also the most likely to buy gifts for Easter, according to NRF. Candy is king for the traditional Easter basket, and the National Confectioners Association reports that U.S. manufacturers produce 90 million chocolate Easter bunnies and 16 billion jelly beans each year. And just because the kids are grown doesn't mean they won't be expecting a basket. Rite Aid has all kinds of sample size bath and body products, small electronics, books, magazines and other everyday necessities that make perfect basket stuffers for teens on up to college students. Those looking for bargains will find high-value coupons on fragrances and other basket stuffers in Rite Aid's weekly circulars, also available in stores and online at www.riteaid.com. There also will be special prices on spring cleaning supplies, allergy products and outdoor gear, such as patio furniture and grills. Rite Aid (NYSE: RAD) is one of the nation’s leading drugstore chains with nearly 4,800 stores in 31 states and the District of Columbia with fiscal 2009 annual sales of more than $26.3 billion. Information about Rite Aid, including corporate background and press releases, is available through Rite Aid’s Web site at www.riteaid.com. Disclaimer: I was not compensated in any manner for sharing this information with my readers. The photo is linked to my Amazon.com affiliate account, and if someone to purchase this item, I would earn a commission. I have a teenage son who LOVES smelling good for the ladies in his school! So when the Family Review Network offered us a chance to try out the new Dove Men+ Care body wash and bar soap, I figured that he could try this out too! We love trying out new products in our house! My son has been using the body wash and the bar for about two weeks now, and he has informed me that he loves the smell! I smelled the products when they came, and have smelled it on him, and he smells great! I'm sure the girls at school love it too! You can get these scents in either the body wash or bar form. We also received the Active Clean Dual Sided Shower Tool and as the Dove Men+ Care site says, it does build up alot of lather! I personally tried it out before giving the products to my son! This will be a product that I'm sure we will turn to again and again, and it might even replace a product that my son currently uses! We're BIG Dove fans in this house! While you're here, stop by and check out the Unsung Moments contest. Share the story of when you knew your man was comfortable in his own skin, and you could win a manly backyard makeover prize package and Dove Men+ Care products!!! You can also download a $1 off coupon here: http://content.dove.us/mencare/Offers.aspx. The fine folks at Dove Men Care want to offer one lucky reader their own body wash and bar soap from Dove+ Men Care! To enter, tell me who you'd give these prizes to if you won. Giveaway is open to US Residents only. Giveaway will end on 4/10/10 at noon EST. Disclaimer:This post was written for Family Review Network as part of a program for Dove Men + Care , who supplied the Body Wash and Soap for review. The opinions expressed above are solely my own and yours may differ. Receiving a product will NEVER influence what I write in any review. The time has come to say goodbye.... to my Stalker!!! Oh my... where do I start?! I had to start a new blog called I Attract Stalkers. See, I have this sister, who reads my tweets when they're unprotected and she goes to my blog. She's been blocked from seeing my Tweets and from my blog, so to see my blog she logs out of Twitter, and goes to my blog from the links there. We don't speak - she doesn't like how I told her how she's selfish and uncaring because she never returns my phone calls (even when I was in the hospital). So we go at it every now and then. Well, I got her IP from my statcounter software and saw that she visits my blog quite regularly. So after emailing her again yesterday to stay off of my blog, I decided the easiest way to keep her off of my blog is to create a private blog for my personal posts, until I can get my own domain and hosting. If you want to be invited to read this other blog, shoot me an email. Reviews and giveaways will remain on this blog. Wordless Wednesday and all personal posts will go to I Attract Stalkers. With Blockbuster Express™, you can rent DVDs online for only $1 per night at blockbusterexpress.com and you don't even need a membership to do it. Start planning your next movie night tonight! BLOCKBUSTER Express offered a special Rent One Get One Free coupon code for MomSelect members to use and share with all of your friends, family and followers. The coupon code is 555G13B. Disclaimer: I was not compensated in any way for posting this, but by doing so, I have been entered into a contest to win a $250 Visa Gift Card. The opinions expressed above are solely my own and yours may differ. Receiving a product will NEVER influence what I write in any review. UPDATED for 2nd McCormick winner - because - well, I'm kind of out of it as of late! Because I love you all each as I love my family, and I know you are sitting with bated breath, waiting to find out if you won a giveaway, I'm taking time out of my hectic and busy life to post some winners today! Congratulations to the following winners of the following items! McCormick Spice Giveaway - Cindy, aka @getalonghome AND Peggy Gorman, who always wins here because she always enters! Congrats ladies! I'm busy today so I'm going to tweet you and let you know you've won! 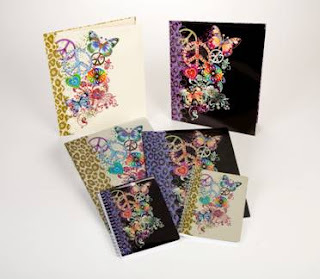 And don't forget - the mirra giveaway ends today and check out the other giveaways on my left sidebar! Today my youngest daughter is 11! Happy birthday baby girl! The photo above is from a couple of weeks ago, when she was trying on my shades! 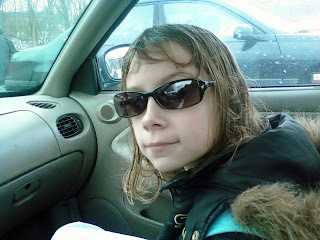 Cool gal! Birthday photos coming soon - the party is this weekend! As you know from my recent posts, I have to move. I started moving on Friday and was hoping to be done yesterday. Due to lack of help (just my kids and I and a friend) and the use of a truck only one day, I wasn't able to get it all done. So... hopefully I'll be done today or tomorrow. When I can post some winners, I will, and I have some more giveaways to post! 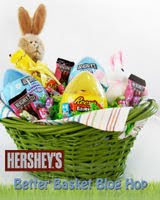 Last night, I had two of my blogging friends contact me about a Hershey's Better Basket Blog Hop. I'm totally into this because for every blog post, Hershey's is donating $10 to CMN. This starts on Thursday, March 18th and ends April 4th. can give as many Virtual Baskets as you want. Kayla at The Eclectic Element. While you're here, please stop by and see Connie Roberts' story on what she did to Pay It Forward! *Even if I didn't tag you, you are welcome to take the above graphic and post this post on your blog and tag whomever you'd like - we'd love to have you participate for a great cause!